Kartha Karma Kriya movie is directed by Nagu Gavara and featured Ravi Varma and Raghu Babu as lead characters. Nagu Gavara is the director of the film who earlier made the debut with the film Weekend Love. The film created a special interest with the teaser and trailer already. 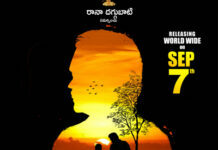 Kartha Karma Kriya is a Telugu movie released on 8 November 2018. Now, check out the Kartha Karma Kriya Movie Review and Rating Hit or Flop Talk here. Siddhu (Vasnth) works in a mobile shop. Soon he comes in the contact of a girl Mythri (Sehar) and falls for her. On the other side, Mythri is in the search of a person who killed her sister Divya. 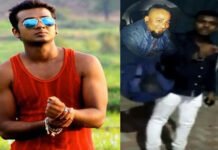 When Siddhu comes to know about it, he also decides to help Mythri and comes to know that two other girls have also been killed in the same manner. How will Siddhu help Mythri? Who is the murderer? What is the role of a special cop (Ravi Varma)? To get these answers, one should watch the movie on the silver screen. One of the major highlights of Karma Kartha Kriya is the performance of Vasanth. He looks fit and has delivered his best. He has done total justice to his role. He takes the movie to another level with his wonderful performance. Sehar looks good in her role. The actress who essayed the role of Diya is fine. Ravi Babu has done a very important role. Rest of the cast perform accordingly. The storyline of Kartha Karma Kriya is interesting. The writer has written a powerful characterization to the hero and he has become successful to execute the movie in an engaging manner. Sravan Bharadwaj has come out of his comfort zone to give beautiful music for the movie. He does a good job with its background score that elevates the film well. The cinematography is elegant. Art direction is very good. Action sequences are well choreographed. Dialogues are natural and have depth in them. Editing by Praveen Pudi is good. Production values are very good. 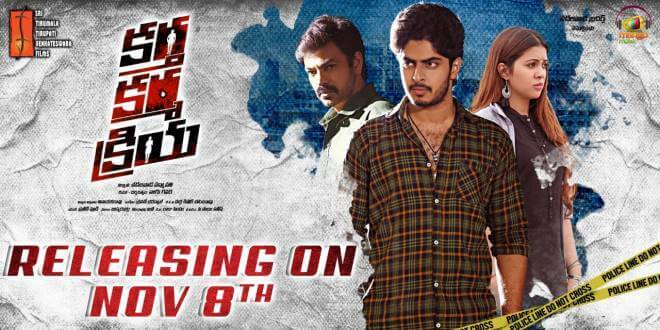 Overall, Kartha Karma Kriya Telugu movie is an investigative thriller. The performance, direction, and Screenplay are the plus points of the film. The director has mixed the elements properly in the film to create interest. 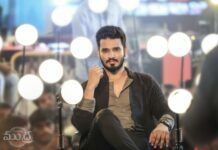 Kartha Karma Kriya Movie Review: Overall, Kartha Karma Kriya Telugu movie is an investigative thriller. The performance, direction, and Screenplay are the plus points of the film. The director has mixed the elements properly in the film to create interest.